Available in classic, contemporary, and vintage designs, ArtCarved engagement rings offer many exhilarating options for the fashionable female. 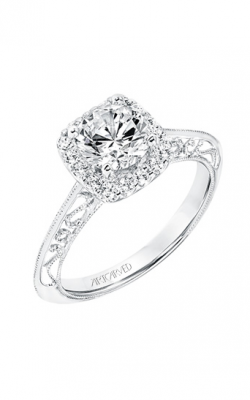 ArtCarved looks to design only the most memorable engagement rings to commemorate and solidify your commitment. When searching for the perfect engagement ring, ArtCarved makes it easy to find the perfect piece that is sure to have her saying “Yes!” Their rings are designed to please, coming in various settings, shapes and metals. Dynamic and varied, you’re sure to find a piece that will help you in making the grandest proposal of all. Established in Detroit and now serving Ann Arbor, Lewis Jewelers has experienced significant growth and transformation over the past 95 years. 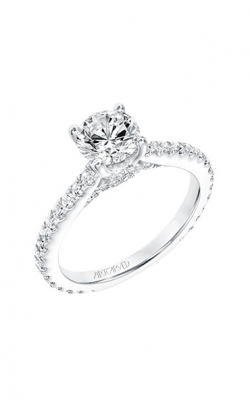 With an impressive selection of engagement rings, wedding bands, timepieces, and fashion jewelry,Lewis Jewelers meets the many needs of its large customer base. At Lewis Jewelers you will find a huge selection of ArtCarved Engagement Rings from their countless stunning collections. 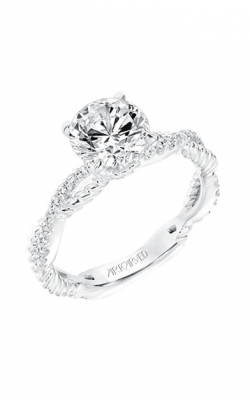 ArtCarved has designed and crafted an engagement ring for every fiancé to be. For those who love the traditional and timeless styles, the Classic Collection will carry the perfect ring for your loved one. Contemporary Collection carries engagement rings for those who love to stay in the “now” and those who live in the moment. The Vintage Collection carries engagement rings for the fiancé to be who loves to bring elegant designs and looks from the past into the modern day. Each collection carries one of a kind craftsmanship that any woman will be happy to have on the day of their engagement. Be sure to live in the moment with one of ArtCarved’s luxurious and lovely engagement rings. In business for almost a century, Lewis Jewelers has become one of the most trusted jewelry providers in greater Ann Arbor and the surrounding areas. We continue to give back and serve our communities with annual donations of up to $100,000. We are also committed to obtaining diamonds from conflict free areas only. We are proud to showcase pieces from the most desired designers including ArtCarved and can meet all your fine jewelry needs. Our quality and customer service are unmatched, and we are committed to providing a risk-free shopping experience to all.